How much does it cost to travel in the Philippines? Almost once a week I receive an email with this question, so we decided to breakdown our travel costs, share some figures and prove that you can enjoy the paradise without going bankrupt! We spent almost a month travelling in the Philippines, no doubt that Nature and People are the best assets of the country, and I’m sure you can have a great time there even with a tight budget. 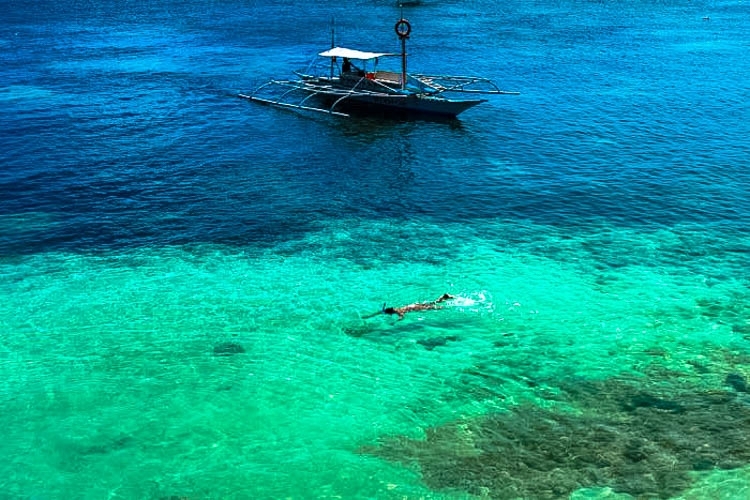 The Philippines is an archipelago with more than 7.000 islands, where you can find from luxury hotels and services, to budget accommodation and local food. You can spend thousands of dollars or just a few bucks, it all depends on your style and way of travelling. During 20 days, we travelled around two incredible islands, and that was enough to sparkle the desire to come back there soon. 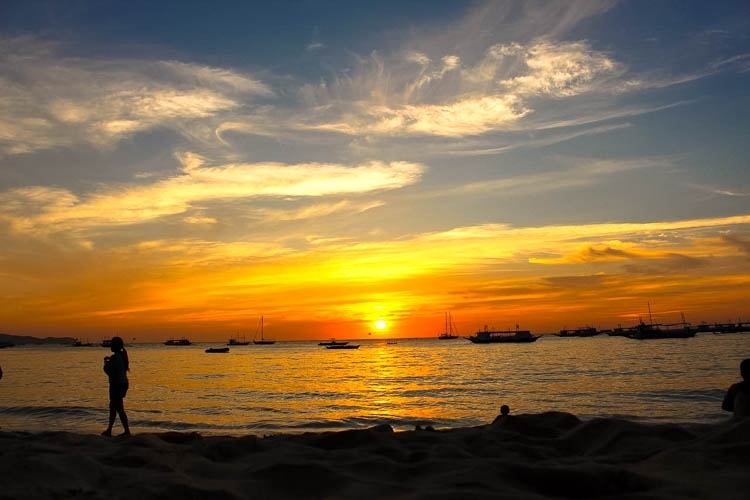 We visited Boracay, known as one of the best beach destinations in the world, and Bohol, a Filipino wonderland. To make your life easier and help your travel dreams come true, here it goes everything you need to know about Philippines & Money. Travel tips, secrets from the road and actually how much does it cost to travel in the Philippines. The values are in Pesos, the local currency, by the end of the article we’ll convert the totals to US dollars. All the prices are for two people. How Much does it Cost to Travel in The Philippines? Is It an Expensive Destination? Well, yes and no! It´s all depends on your travel style and where you come from. Inbound and outbound flights can be the major expense on your trip, that´s why transport will be the first topic on our talk about how much does it cost to travel to Philippines. In our trip we flew from Bangkok to Manila and got a really good price with Cebu Pacific Airline. Almost all big cities in Southeast Asia have cheap flights to Manila and Cebu, you just need to do a good research. Have a look at Skyscanner and compare the best deals. On the other hand, if you are coming from USA, South America or Europe the cost of arriving and leaving the Philippines will be more expensive. That´s why we are not including these tickets on the cost of transportation. Usually, there is no fixed price for local transportation around the islands, the tricycle drivers will charge the price according to your face and destination, so use your bargain skills and get the best prices. Good tip: share the tricycle with other people and you will only pay half of the price. 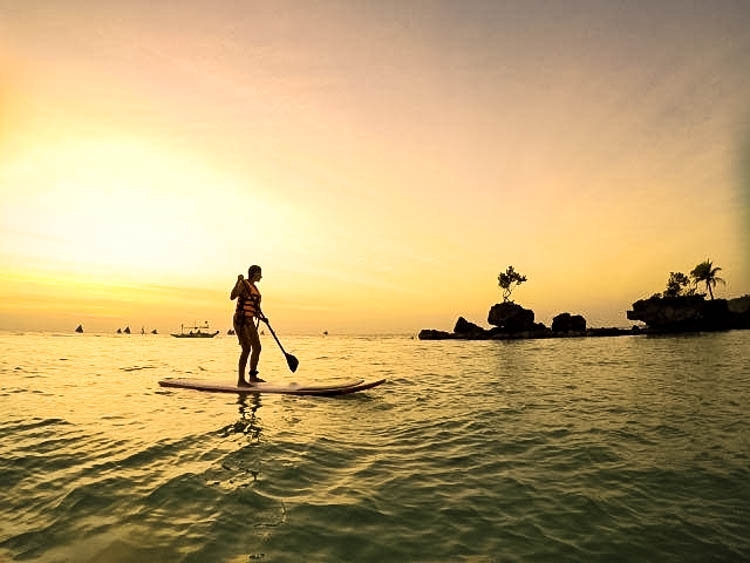 In Boracay you don’t need to worry about transportation, the island is small and super easy to get around. But in bigger islands as Bohol, a motorbike is essential. 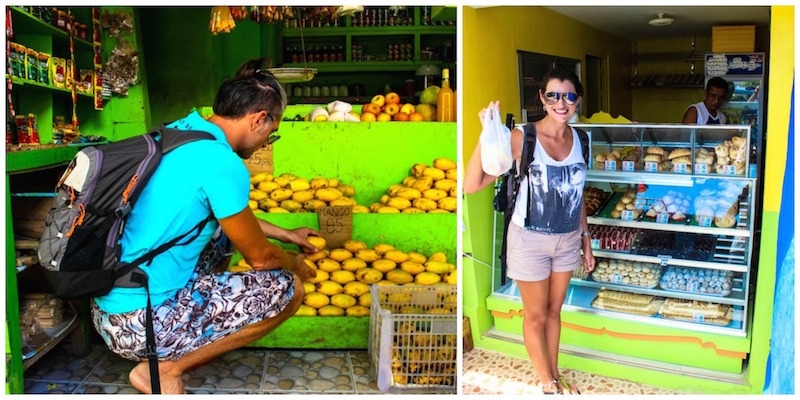 There are many companies renting bikes on the islands, you can find deals around 3-5k Pesos for a weekly rental. Just be careful when renting and driving. We wrote a quick guide about how to rent a motorbike in Bohol [and anywhere in the world]. Precious tips that are worth to read! Intercity transport can vary a lot too. You can travel between the 7 thousand island by boat or by flight. Budget airlines cover the main islands in Philippines and you can find good prices. Boats are definitely cheaper, but they will make your trip longer. If you have spare time travel by boat to enjoy an amazing experience. 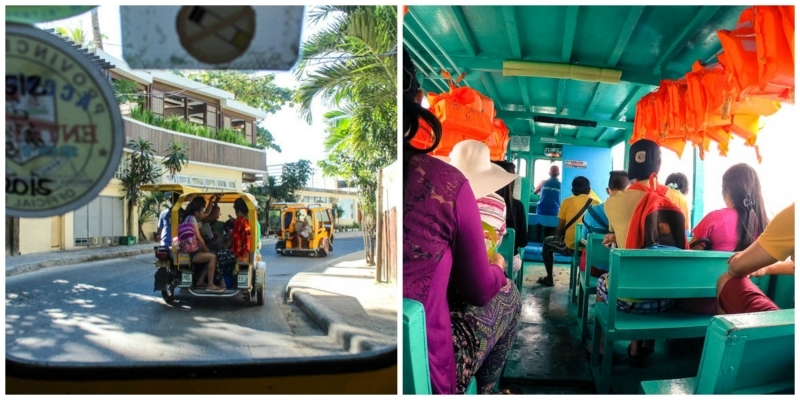 Transport is one the smallest expenses we have in our how much does it cost to travel in the Philippines spreadsheet, that happened because we changed islands just three times and in all them we got good deals. We are kinda of budget travellers, we chose simple and comfortable accommodation in the Philippines. Even though this was the biggest expense we had there. Boracay, as expected, was the most expensive place. The first 3 nights we stayed in a hotel, then we found a nice apartment with kitchen and balcony only two minutes from the beach on Station 3. 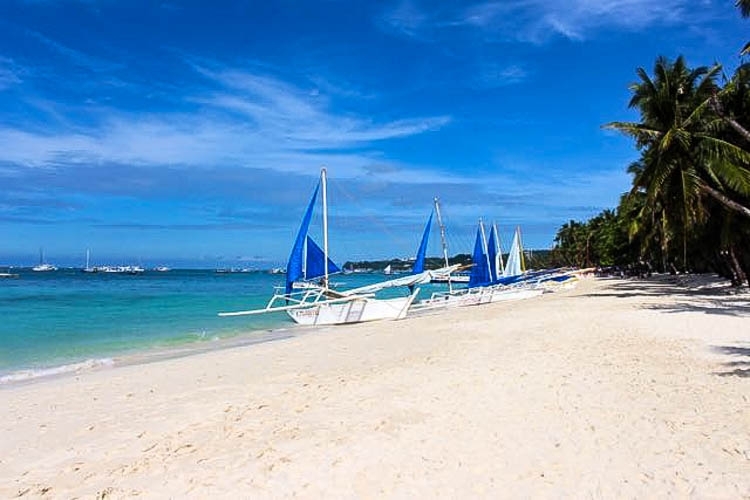 Keep in mind that if you travel to Boracay during the low season the prices can be cheaper. All our accommodation in The Philippines were booked through Agoda and Booking.com, no doubt they have the best rates and a reliable customer service. Airbnb was a good option to save money too. We use it to rent a room on Panglao Island and in Manila. Click here and get $35 usd off on your first booking, start planning your trip to Philippines saving some money. However, if budget accommodation is not your thing, don’t worry. You can find incredible hotels in Philippines, 5 stars, international cuisine, spa, private beach and all the services you need to pamper yourself. I can’t tell you how much does it cost to stay in a top rated hotel in the Philippines, but I can show you where to find them! Most of the time we ate dinner and lunch out. In Boracay was a little bit difficult to find good food for an affordable price. The restaurants on the White Beach are amazing, but also more expensive if you compare to other islands. Even though we manage to find good food at small and local dinners. You just need to look around. In Bohol we had far more options of food and there we had the opportunity to try really local dishes as jackfruit and coconut soup, malunggay soup and fish with rice. Almost every day we had our meals at small eateries on the villages. A simple restaurant where the pots are set over a table in front of the house, you can look, try and choose what you want. Hummm… delicious and so cheap, we had lunch for less than 40 pesos per person. We tried some fancy restaurants too, but those small family eateries got us by the flavours and cozy atmosphere. Another good thing is that everywhere in Philippines you can find tiny shops selling bread, cookies and a coffee machine. 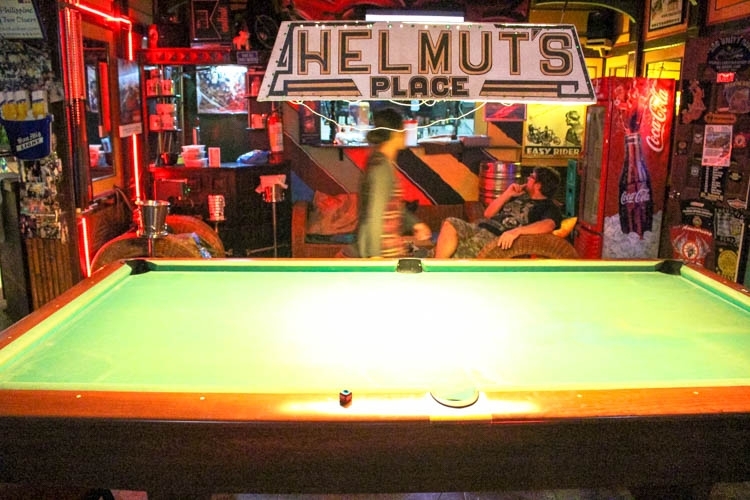 If you are on a go and don’t want to starve until you reach your hotel or restaurants, those tiny coffee shops are perfect for a quick stop. 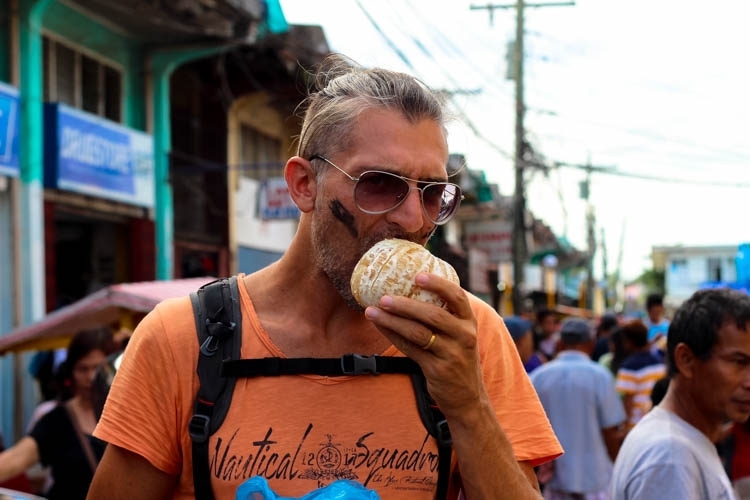 And please, try the Pan de Coco, a coconut bread for only 2 pesos, you won’t regret. There are so many things to do in Philippines that you will get tired just of thinking about them. In my opinion, this is the best way to spend your money. Boat trips, parasailing, SUP classes, snorkeling, dive, kitesurf, zipline, cable cars… Plenty of attraction for all tastes and pockets. We spent most of our time in the sea, swimming and enjoy the crystal clear water. 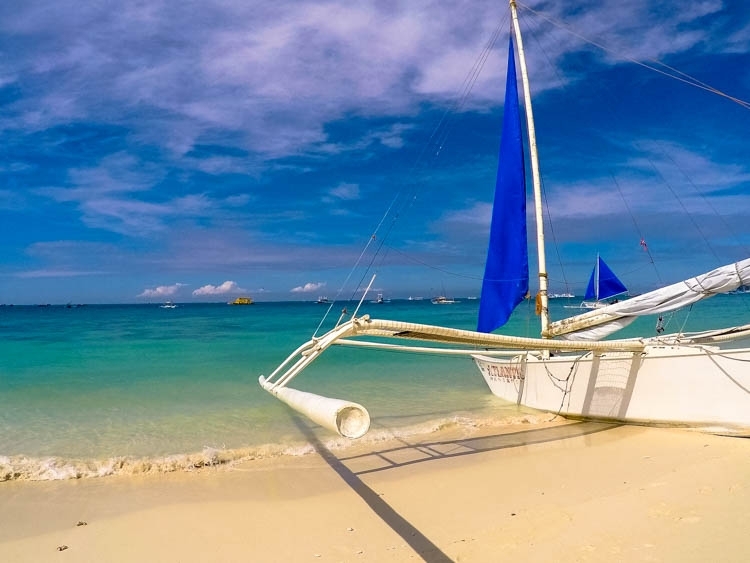 – Boat Trip to Balicasag & Virgin Island in Bohol – ₱ 430 per person, no food included. 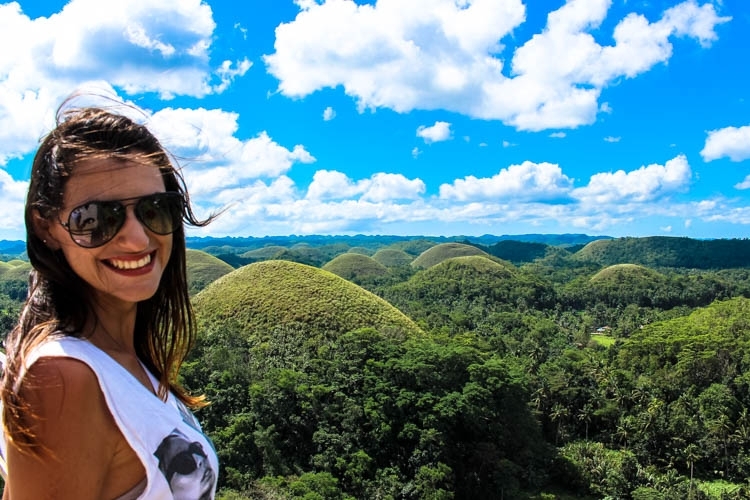 – Chocolate Hills + Tarsier Foundation in Bohol – ₱ 100 per person, just entrance fee. Wooww, our “other costs” in Philippines were a bit expensive. But you don’t need to worry, just some of them are related to the trip itself. On our how much does it cost to travel in the Philippines spreadsheet we just need to add ₱ 557 (souvenirs, internet, shoes and laundry). The expense with internet was a bit high because most of the budget accommodation in Philippines don’t have internet connection. 🙁 Also, once a week you have to wash your clothes, and a new pair of flip-flops is a must for every traveller. The other ₱ 9,760 were spent on things related to a nomadic travel lifestyle. I decided to put them here to show how important is to have some savings and always be prepared. Our first day in Boracay was a little disaster! We arrived in Boracay late at night, I wasn’t feeling good, and in the other day I got worst. For the first time in almost one year travelling I went to a doctor. After an appointment and 2 injections I was fine, but we needed to cash out ₱ 2,100 . It’s was cheaper than use our travel insurance, but was enough to teach was a lesson: never travel without an insurance! The doctor wasn’t expensive, but if I needed to be removed for a hospital outside the island that would cost us a lot. In the same day I got sick, my computer charger exploded :-0 unbelievable!! We used our savings to buy a new one and the medicines for me. After some scary moments [when I got really sick and the big storm that hit us while sailing to Balicasag Island, Bohol] we decided to pamper ourselves: beauty products and books. These are the type of expenses you have in a nomadic life, when once a while you have to buy anti-wrinkle creams and study. Even with all the extra expenses, books, doctors and a fake Havaianas [the famous Brazilian flip-flops], we manage to stay under our travel budget. In the beginning of Love and Project we decided that we could spend only $50 usd per day per person, and so we did! Only ₱ 61,920.00! This amount was for two people, during a 20 days trip in January 2015 [high season]. What means we spent ₱ 30,960.00 per person. We enjoyed the paradise for less than a $50 usd per day, that’s awesome! I’m gonna say it again: you can travel on a budget and have tons of fun. What you need is to travel wisely, find the right ways to book accommodation, flights and keep track of your expenses. No miracle, no tricks, just planning! 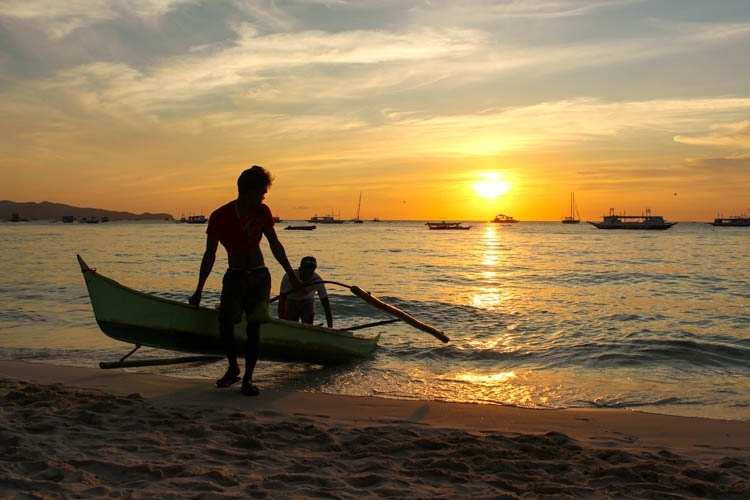 Our friend Will also wrote a great post about his Backpacking in the Philippines, check it out! Fun, Amazing Nature and Great People are the top attractions in The Philippines and they are for Free! Don’t you agree with me?? last time we went for over 3 weeks for 2 adults and 1 child about $6,000.00 hotels, plane tickets, transpiration which they charge us tourist price, food, hotel, attraction fee. Costs will change according to each traveller style. Assume that the flight tickets got a big chunk of the USD 6k, right? For me, not so expensive and also not so cheap but it reasonable to me to get the memories and experiences along the journey in country people. That’s true, what is important is the experiences and the memories from a trip! For sure there is this problem in The Philippines, but not only there. We have faced the overpricing reality in many countries in Southeast Asia, Americas and Europe. I believe we can’t way for the government to change it, it will take ages. We, as travellers, need to change our position, and just don’t buy or don’t pay the abusive price. We have turned down many taxis, restaurants and shops because we felt overcharged. Great post and GREAT photos… love the information. Philippines are next on our list as well, so we’ll definitely take some info out of this! The Philippines is stunning, so it’s easy to take nice pictures!! I’m sure you gonna love there. This post is very detailed and useful for me. because my family will visit Philippines for two weeks in this summer and I think I can make a great plan to save money after reading your post. I’m happy to know that you found it helpful! Enjoy the Philippines with your family, it’s a stunning country! Nat was rushed to the hospital in Thailand and World Nomads took care of everything. their customer service is brilliant! Hi everyone, thank you for your help and information…can I use a credit cards ? This is way too relative. Suggest to make your math based on the costs mentioned on the article. Me and my bestfriend (girl) are planning to take a trip to Philippines for 2 weeks(flexible if needed).how friendly and safe is it for a girl? We will take seperate rooms in a middle class but good and safe hotel. Rent a private boat .visit islands with a little less crowd. Do some adventures. Make memories. Our budget is around 1,50,000 pesos..can be extended till 2,00,000 pesos… but it would be better if we save maximum in the trip but no compromise with the safety and good memories of a boy and girl BFF.. thanks ..it would be helpful if informed me via gmail. We found The Philippines super safe. Hello Robson, I’m glad you found Philippines wonderful and safe to travel. As a Filipino, I really really am thankful for such positive feedback for my country. Also, I love how your tour at Boracay and Bohol went. Love those stunning photos you have shared above. Tks for the kind words! Can’t wait to go back to The Philippines! I Have visited many place but after read this post i feel interest to go to Philippines. I get many information about travel cost in Philippines. Specially want to know about travel cost about El Nideo. The costs mentioned in this article are based on our experience but can be used to have a general idea all over The Philippines.